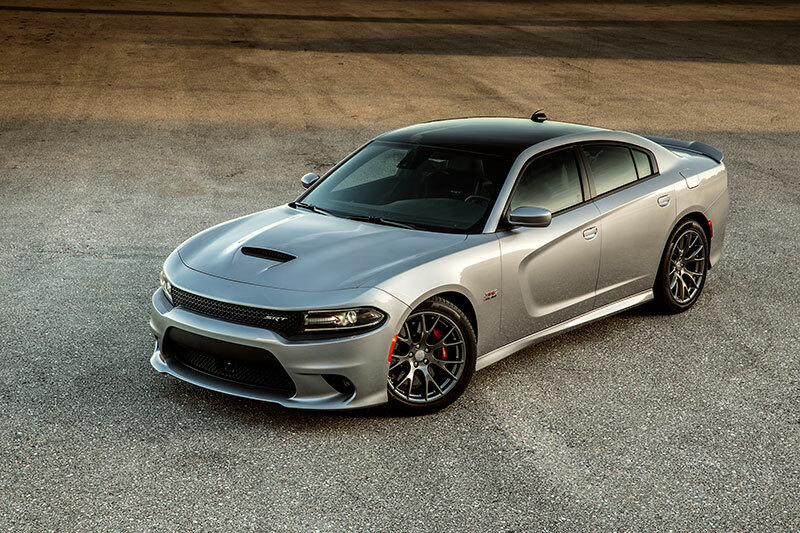 The 2015 Dodge Charger SRT Hellcat – the quickest, fastest, most-powerful sedan ever – now boasts a fuel-economy rating as remarkable as its performance numbers. 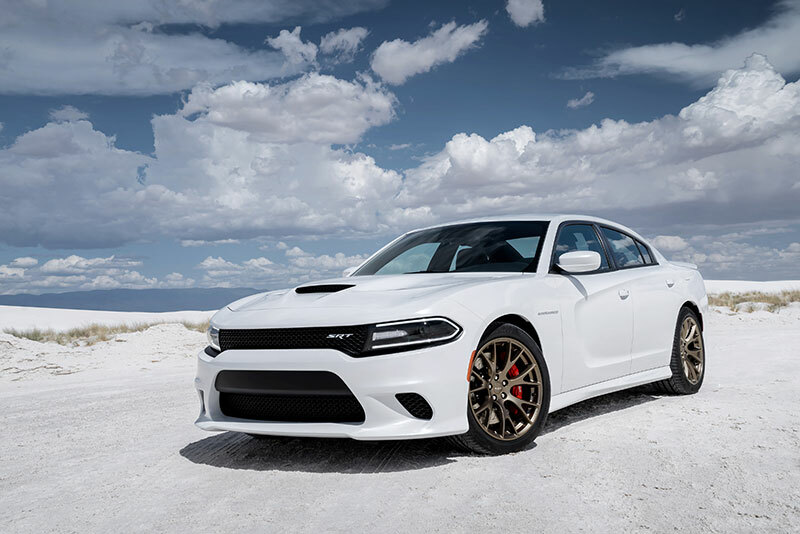 Equipped with Chrysler Group’s 707-horsepower 6.2-liter HEMI® Hellcat V-8 – today named one of Ward’s 10 Best Engines – the new Charger SRT Hellcat has earned a highway fuel-economy rating of 22 miles per gallon (mpg) from the U.S. Environmental Protection Agency (EPA). The new 2015 Dodge Charger SRT Hellcat has recorded an 11-second quarter-mile on street tires – a clocking certified by the National Hot Rod Association (NHRA). It also goes from 0-100-0 mph in less than 13 seconds and boasts a top speed of 204 miles per hour (mph). Its starting U.S. MSRP is $63,995, including a $1,700 gas-guzzler tax. The Charger SRT Hellcat also earns EPA ratings of 16 mpg in combined-cycle driving, and 13 mpg in the city. The supercharged 6.2-liter HEMI Hellcat – the same engine that powers the new 2015 Dodge Challenger SRT Hellcat – benefits from content that is 91 percent new, compared with its 6.4-liter SRT cousin, better known as the 392 HEMI. Central to the car’s extraordinary performance is its new, segment-exclusive TorqueFlite eight-speed automatic transmission. Its 7.03 ratio spreads enables the powerful HEMI Hellcat to operate in its most efficient mode, more frequently, while delivering 160-millisecond shifts and rev-matching for enhanced performance. The TorqueFlite boasts maximum engine-torque capacity that is 30 percent greater than any eight-speed previously offered by Chrysler Group – the first auto maker to offer advanced eight-speed automatics in mainstream-brand vehicles. The HEMI Hellcat makes 650 lb.-ft. of torque. To ensure the transmission’s responsiveness matches the demanding expectations of SRT customers, it features one additional pinion gear in each of the 1st and 3rd gear sets, and five more clutch-pack disks – two in clutch E and one each in clutches A, C and D.
Enhancing its handling capabilities are 15.4-inch Brembo two-piece rotors with six-piston calipers – the largest brakes ever offered in a Chrysler Group vehicle. Pirelli P Zero tires on 20 x 9.5-inch wide forged-aluminum wheels with Pirelli P Zero performance tires, and a three-mode adaptive damping suspension. New SRT Performance Pages allow drivers to tailor the driving experience by controlling horsepower, transmission shift speeds, paddle shifters, traction and suspension. Not to be outdone by the engineers, Chrysler Group designers flexed their considerable creative muscles to match the car’s look with its dynamic feel. Designers re-sculpted and refined nearly every body panel with functional performance cues, including heat extractors in the hood, unique front and rear fascias and dramatic LED lighting in both front and rear. The Dodge Charger SRT Hellcat also features a wide array of the latest high-tech features, including the new award-winning available Uconnect Access system, Uconnect Access Services with roadside assistance, theft-alarm notification, voice texting, new 3-D navigation and the ability to turn the Charger into a Wi-Fi hotspot.